아두이노(Arduino)는 안드로이드에서 외부 디바이스에 대한 제어에 관해서 알아보다가 알게 되었는데 전자 부품들을 연결해서 초보자들도 쉽게 원하는 장치를 만들 수 있습니다. 아두이노를 single-board microcontroller라고 하는데 하드웨어와 소프트웨어가 모두 오픈소스로 되어 있습니다. 아두이노의 하드웨어는 Atmel AVR Processor와 입력/출력 핀들로 이루어져 있습니다. 소프트웨어는 표준 프로그램 언어로 작성된 스케치라는 소스 파일을 컴파일해주는 컴파일러와 부트로더로 이루어져 있습니다. 아두이노 보드는 위의 그림과 같은 모양을 하고 있는데 사용 목적에 따라서 이용할 수 있는 여러 형태의 아두이노 보드가 있으며, 특정 목적의 기능을 적용한 쉴드라는 보드를 함께 이용할 수 있도록 되어있다. 내가 사용하고 있는 보드는 아두이노 우노 r3라서 핀에 대한 사진을 첨부했느데 다음 사진입니다. 아두이노에 대한 자세한 내용은 공식 홈페이지인 arduino.cc를 방문하여 확인할 수 있습니다. 이곳에서는 “아두이노 우노”에 대해서 좀 더 알아볼 수 있습니다. 하드웨어에 대한 자료와 소프트웨어 예제 소스를 다운로드 할 수 있으며 프로그램 개발에 필요한 통합개발환경을 다운로드하실 수 있습니다. 아두이노는 2005년에 Italy의 Ivrea에서 저렴한 가격에 학생들이 개발한 상호작용 디자인 프로젝트를 관리하기 위한 장치를 개발하기 위해서 프로젝트를 진행한 것에서 유래합니다. 2011년 5월에 아두이노를 만든 “Massimo Banzi and David Cuartielles”이 그 프로젝트를 “Arduin of Ivrea“라고 하면서 아두이노란 이름을 갖게 되었는데 arduino는 “친한친구”란 뜻입니다. 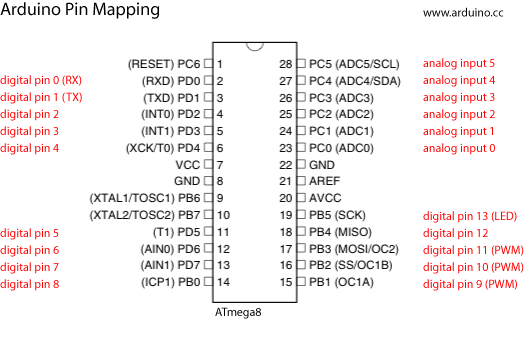 Electronics Lab – useful circuits with full description, diagrams and PCB, electronics articles, links and downloads. Tronixstuff – A nice guide and a lot protoypes you can learn from. MakeZine Blog – The well-known DIY magazine. 아두이노와 호완되는 보드가 많이 있는데 이곳에서 찾아볼 수 있습니다. Cardboarduino – printed (actual size), cut out, and glued to the front and back of a piece of 5” x 6” piece of posterboard. XBee adapter – create a wireless point-to-point or mesh network. hacknmod – 많은 아두이노 예제가 있으며 다른 내용도 함께 검색할 수 있다. YBox2 – networked set-top box. Connect it to your TV and you can design customized content to be delivered direct from the Internet. Drawdio – simple musical synthesizer that uses the conductive properties of pencil graphiteto create different sounds. Brushduino: we can’t really sink our teeth into this one. Control a LED From Your iPhone! Beagle Board – a low-cost, fan-less single-board computer based on low-power Texas Instruments processors featuring the ARM Cortex-A series core with all of the expandability of today’s desktop machines, but without the bulk, expense, or noise. SparkFun – an online retail store that sells the bits and pieces to make your electronics projects possible. Dragino – open hardware Linux motherboard for microcontrollers. ExtraCore – communication between two arduinos using only 2 wires using the I2C bus. Electronics and Textiles (e-textiles) – guides for working with electronics and textiles. Paper circuits w/ copper tape – create circuits on paper using copper tape, clear tape, and some simple electronics. Bildr – A very pretty blog with mostly advanced prototypes. Manicbug – This dude has some really good projects on his blog. Wicked device blog Not really up to date, but still has some good stuff. digispark community forums – digispark을 이용한 아이디어들이 있음. hlt.media.mit.edu – esearch group at the MIT Media Lab, integrates high and low technological materials, processes, and cultures. 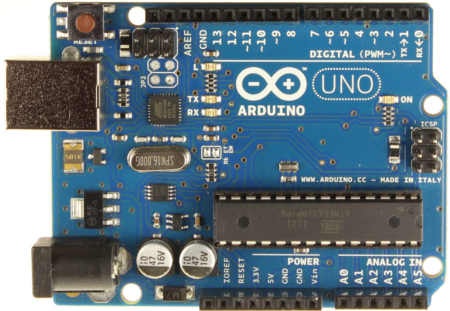 Electronics Blog and Forums – Arduino, CNC, Lasers, Robots etc. Processing : an open source programming language and environment for people who want to create images, animations, and interactions. Toolduino A useful tool for Arduino developers. a simple software tool that lets you easily interact with your Arduino hardware so you can test the circuits you create. Breakout : a prototyping tool for exploring the intersection of the web and the physical world. Firmata : a generic protocol for communicating with microcontrollers from software on a host computer. Funnel : the user can handle sensors and/or actuators with various programming languages such as ActionScript 3, Processing, and Ruby. 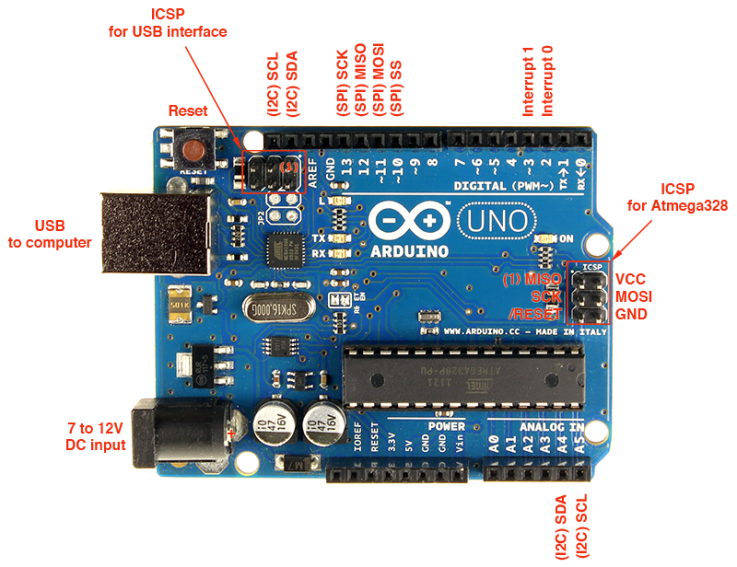 This entry was posted in Arduino and tagged arduino, 아두이노.